Gauteng premier David Makhura delivered his State of the Province Address yesterday. Improving and building new roads in Gauteng should not be at the expense of citizens. These are the sentiments shared by premier David Makhura as he delivered his State of the Province (SOPA) in Randfontein, yesterday. Makhura's comments come on the back of government's failed attempts to convince motorists to pay in order to use Gauteng roads. Despite resistance from the public, the South African Roads Agency (Sanral) moved ahead with plans to introduce e-tolling on the Gauteng freeway system on 3 December 2013. Over the last few years, Sanral has tried various means to convince e-toll defaulters to pay up, but these have almost entirely failed to yield any positive outcomes. In November, Sanral admitted it is owed more than R11 billion in outstanding e-toll fees. Sanral's offers of discounted prices and threatening motorists with summonses have done little for the roads agency; instead motorists have found support in non-profit civil action group the Organisation Undoing Tax Abuse, which opposes the e-tolling system. Last year, the leadership of the Gauteng African National Congress (ANC) branch also came out against e-tolls and instructed party chairman Paul Mashatile and Makhura "to do something about e-tolls". Speaking at the SOPA, Makhura said the provincial government is mobilising resources for public transport infrastructure in ways that will ensure it doesn't commit the same mistakes made with the e-tolls. "We can't build roads and only later inform citizens that they must pay. In fact, there will be no e-tolls on our new roads." Makhura admitted all the efforts made through the advisory panel set up to find a solution for e-tolls have not led to the resolution of concerns of Gauteng motorists regarding affordability. "We have tried our best. The ultimate solution can only come from national level. We will continue to engage in order to represent the interests of our residents." 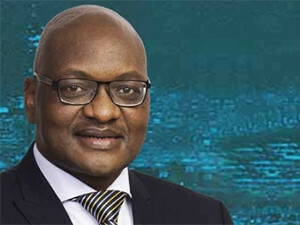 Similar to last year's SOPA, Makhura reiterated the provincial government's commitment to reach full broadband connectivity within three years. In terms of its national broadband policy, the South African government aims to deliver widespread broadband access to 90% of the country's population by 2020, and 100% by 2030. The provincial government's broadband plans are in line with the vision of creating a smart and modernised Gauteng. According to Makhura, Gauteng has continued to invest in economic infrastructure by providing broadband connectivity, establishing ekasi labs for technology start-ups, as well as training and skills development for township enterprises. Makhura also implored current leaders in the once ANC-led metros to work together to rollout infrastructure projects that are beneficial to all citizens. "These projects include public transport, broadband and free WiFi," he said.